Arrived ahead of schedule, and was absolutely beautiful! Great add to my gallery wall! Just as pictured. 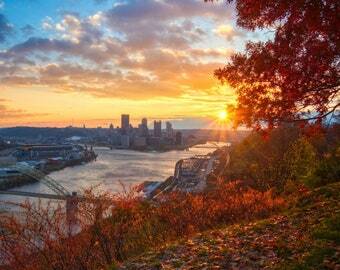 I was born and raised in Pittsburgh, PA. I'm lucky to live in such a beautiful city with amazing views. Its great to have such an awesome city to photograph! Bay Photo produces highly professional and quality photographic prints. I use them for all of my printing needs.